At this point, almost everyone has heard about the harm that plastic water bottles can do to the environment and to the body. Though it can be difficult to explain all of the technicalities in one article, there are a few which stand out above the others. All of the harmful traits for bottled water are not noticeable until later. So how do you avoid these problems? Ultimately, just avoid plastic water bottles altogether. You still may be wondering exactly why this is. Look into some of the major reasons and you will understand more. Plastic waste is toxic waste. You may not see it when you simply look at a plastic water bottle but a great deal of pollution went into making this seemingly useful object. Plastic is literally made out of fossil fuels and, as we all know by now, increases what we call the carbon footprint in our natural environment. In short, it means the more plastic bottles we make and use, the worse our environmental conditions will get. This should give us all a clue into what we can do to reduce pollution around the world. Consider how pollution affects health and get a clear idea of how. Since it is now advised to stay away from the plastic, what will you use? Obviously, glass is the best option when you are at home. That is, unless toddlers are running about. You can also get very nice stainless steel bottles designed for camping and outdoor use. These bottles safely carry clean water and do not break easily. There are plenty of other alternatives to plastic water bottles. Just don’t get in the habit of reusing those and especially don’t use the same plastic bottles continuously. Chemical leech out into your water the older the plastic gets. It has been shown, with many samples of bottled water, that there are higher levels of harmful organisms such as bacteria and parasites in bottled water. What we think is clean can actually cause illness. This is something important to consider if you are thinking about cutting out plastic. Since these germs cannot be seen with the naked eyes, all you see is what appears to be very clean water, trapped in a convenient bottle to keep it fresh. The only problem is how it is festering with germs the whole time. Presently, doctors are advising patients to avoid bottled water. This is for several reasons. It is the content of germs, known chemicals and unknown chemicals. 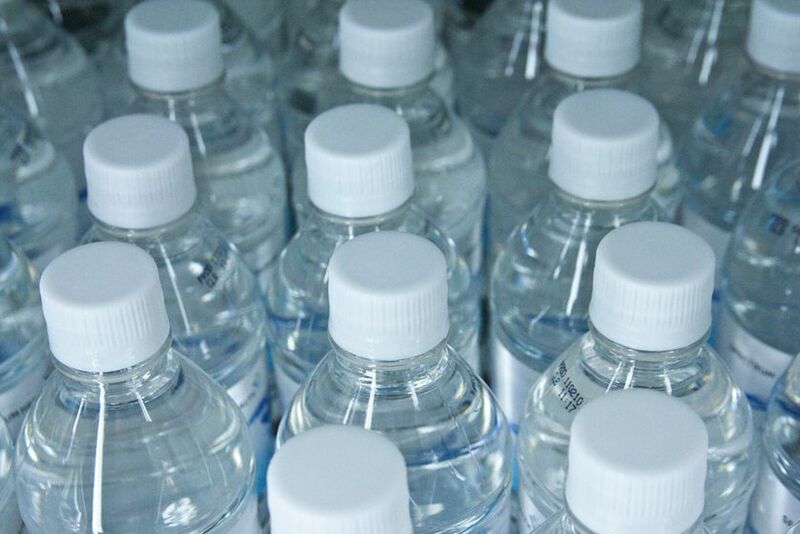 Hospitals no longer serve bottled water. In fact, it has been determined that tap water is safer in spite of its own problems. Why Not Plastic Water Bottles? Plastic has slow-release toxins in it. Primarily, there are compounds known as “xeno-estrogens” and these are coupled with pesticide compounds to make carcinogenic compounds which have been shown to cause breast cancer. There are many other reasons for plastic to be harmful to health.